The Android-powered Samsung Epic[tm] 4G was engineered for a legendary entertainment experience with superior speed and display innovation. Its 3G/4G speeds allow you to stream and download videos, applications and games at blink-and-you’ll-miss-it speeds. Now priced at $99.99 after $350 instant savings and $50 mail-in rebate via Reward Card. Eligible upgrade or new-line activation and two-year agreement required. Find the Samsung Epic[tm] 4G at the Deaf Pager Store, the store with the devices and low-cost data plan only for deaf and hard of hearing people. that win job discrimination lawsuits. Many deaf people everywhere, Missouri included, are discriminated in the workplace and wish to file lawsuits. It only makes things more difficult in Missouri – should legislators vote in favor of the bill. the Mbale School of the Deaf has 200 hearing students. ordered the school to remove these 200 hearing students. that no one in Ghana was willing to discuss. of shortage of teachers that know sign language. Journal of Medical Genetics carries this article. in prisoners’ favor more than ten years ago. deaf filmmakers are nervous about this comment. WHY DO MANY DEAF PEOPLE RETIRE FROM JOBS? executive of a Fortune 500 corporation. communicating with people that work under him. Britain about a new underwater hearing aid. manufacturer trying to make a big deal out of it? we had no deaf miners. were dangerous for all miners, deaf and hearing! Q Why do some people refuse to accept their deafness? A. They equate deafness as a sign of human weakness. Crossing the street, if you are Deaf-Blind like me, is scary! are blind and can hear. 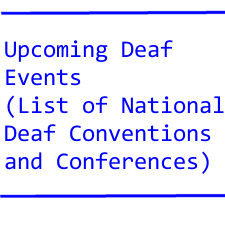 What about Deaf-Blind? Very little has been accomplished at this time. There is a picture of a person guiding a blind person in the background. less than obvious blind pedestrian sign and their best wishes. I hope to see you at our next gathering. 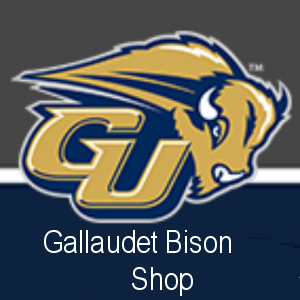 Gallaudet book. He had it returned to the Plainfield Historical Society (CT) for preservation.